Last week, we talked about how to (more than) double your blog’s reach in a year. 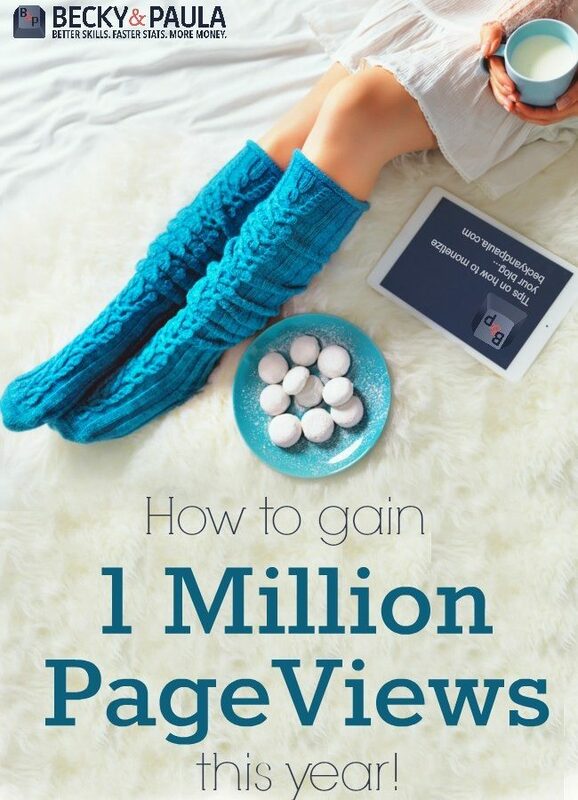 I shared a bit of my personal experience about how I went from getting about 11,000 views a month in March of 2013 to averaging over 93,000 views a month for the last 3 months of the year. Of course I also shared some tips and ways that you can make it happen on your blog as well, and we will continue to share more tips for growth throughout the year to help you reach your blogging goals! Hipster girl using her laptop at home, vintage. Today, I thought it would be helpful to talk about blogging income. Something that every one feels weird talking about, but I feel like it’s helpful to share, so that you can know what is possible, and be able to set realistic goals for yourself and not sell yourself short. For the backstory: In January of 2013 I wasn’t making any money on my blog. Not one penny. I was determined to start earning and had the goal of starting to earn some money before 2014, though I had NO IDEA what number to shoot for. Vaguely in my mind, I set a goal of reaching $500-$1,000 total, by the end of the year, but thought even that might be overambitious. By December 2013 I had brought in over $5,000 total. Averaging $1,000 a month for the last 3 months of the year. So again, HOW does this happen? I’ll tell you, because I want you to be able to do this too!!! No gimmicks or tricks, just a lot of hard work and time. Get Your Own Domain – This is a great starting point, because it sets you apart and makes you look like a more professional-blogger instead of a hobby-blogger. Many brands expect you to have your own domain before they will even work with you. Also, when you start to build your page, you want to build up views, pins and SEO traffic for the domain that you will have for the rest of your blogging career. Choose your blog name and domain wisely! Install Google Analytics – GA is a great tool for tracking the growth of your blog. Many brands ask for numbers specifically from Google Analytics before they work with you, as GA is one of the most accurate. Your stats on GA may be a little bit lower than what you have seen on other stat-counting websites, simply because GA doesn’t count spam clicks. It’s a good thing to install ASAP so that your growth will be charted from the very beginning and you won’t have to wait to get those numbers for a sponsor or brand when asked in the future. Focus on Getting Your Page Views Up First – Before you spend too much time stressing over money, try to get your stats and page views up to a good level. 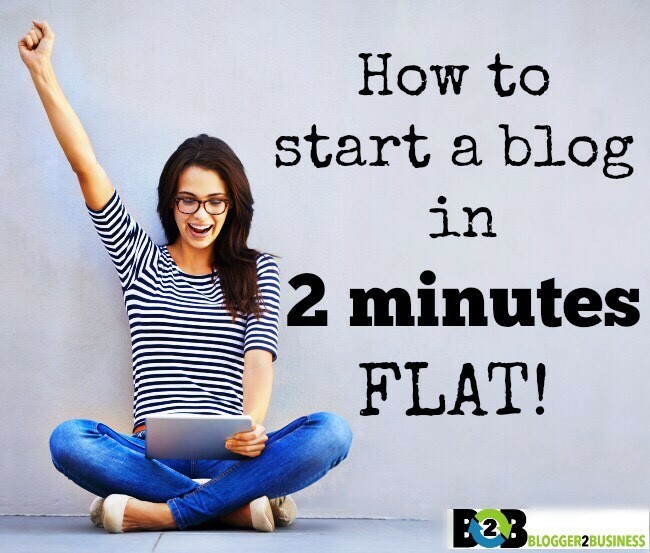 This will allow you to put all of your energy into one thing at a time, and when you do start earning blogging income it will be more at a time instead of just a few dollars here and there. Personally, I waited until I was getting 700-1,000 views a day, before I started pursuing monetization. A few earning opportunities presented themselves before that time (and I took them!) but I didn’t actively try to start earning until I had my stats in a better place than I did on January 1st. This took half the year, but it was so worth it to me! Instead of bending over backwards for a small sponsored post or cluttering my site with ads that were earning me pennies, I was able to slowly start bringing in sponsored posts and ads, when my stats were high enough to make it worth it. Paypal – Set up a paypal account specifically for your blog. Though some companies allow direct deposit, most will pay you through paypal, so having it already set up will put you a step ahead as you start to earn. It can also be a good idea to set up a separate bank account just for your blogging income. This will help you track your blog earnings, so you can report them on your taxes at the end of the year. Then you can transfer the money to your regular account at the end of the year! Hire Me – Create a “hire me” landing page. You can call it whatever creative name you choose, just have a space on your blog that shares your stats and what sponsorship opportunities you are looking for. You can even include how much you charge! Always have a contact email address on this page as well. This makes it much easier for brands to contact you personally with opportunities. The nice thing about working this way, is that you typically get paid faster, and you build a relationship with the brand directly (instead of through the groups/communities mentioned above). Make it easy to find your information and easy to contact you and you’ll start getting people looking for what you have to offer! You can see an example of a ‘hire me’ page like this on my personal blog. Adsense – Google Adsense is a wonderful tool, and it is MUCH easier than selling adspace on your blog. There is a waiting period after you apply, but once you are accepted it’s pretty smooth sailing. You simply add the code to your site, and start earning money as people click the ads. It can be fickle as different days the ads will be worth more, but it’s still a great (and easy) source of income. I love it when I can come home from a day at the beach with my kids and see that I’ve earned a couple dollars in ad sales while we were playing. It’s definitely a cool feeling! You can block certain types of ads or URLs from displaying ads on your site, so they should stay as family-friendly as you want them to be, which is a really nice feature. I was nervous about getting some X rated ads on my site and not realizing, but as long as you are careful with your settings that shouldn’t happen. Ad Space – I’ve only recently begun to sell adspace myself, but it’s something that many bloggers do quite successfully. Basically you charge people to have their image/button in your sidebar. Passionfruit is a program that helps make selling ad space easier. I’m currently in a trial period with them, so I will have to update this as I get more experience with them. 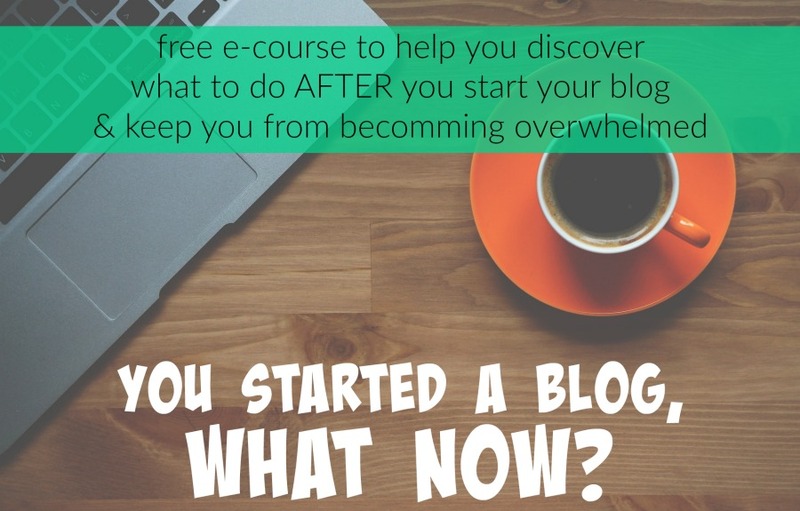 I do know lots of bloggers that have had a very positive experience with them, so it’s worth looking into! As far as pricing, take a peek at what other bloggers your size and in your niche are selling and price accordingly! Post Frequently – Don’t rely on sponsored content to carry your blog. You still have to post lots of stellar non-sponsored content to keep the readers coming! Never stop working on your blog’s growth, even when your numbers have doubled and tripled! The majority of the content on the site should be regular, non-sponsored posts, with only a few sponsored posts sprinkled in the mix. Yes, we all need to earn money, but you will lose your credibility with your readers if you post exclusively sponsored content. Be Picky – Only accept sponsored posts/ads that you can honestly endorse and that you think your readers will enjoy hearing about. Sponsored content is still content going on your blog, so it also needs to ad value from the readers perspective. This might mean that you have to turn down some hefty paychecks, but keeping your credit as an honest blogger will help you in the long run as you endorse other brands that you truly believe in. Your readers will know they can trust you and your sponsors will know that you deliver the results they want! Don’t Lose Yourself – Never sacrifice your voice, or quality writing style for a sponsored post. Advertise for the brands in unique stories that flow with the feel of your blog. This means more exposure for the brand, and your readers will enjoy reading it, instead of skipping over it because it feels like a “commercial”. Becky has some great tips about writing sponsored posts, if you need some help getting started. Monetize Social Media – You can monetize social media through Izea, Blogher and Sverve. These companies pay you for tweeting, posting Facebook Statuses on your page about their brand or even pinning! You can also advertise a “social media shout out” option on your “hire me” page. Start Treating Your Blog Like a Business – Be professional in all your interactions and always post quality content. If you don’t take yourself and your blog seriously, neither will brands. Every tweet, Facebook status and blog post represents you and your brand as a blogger. You don’t have to lose your voice, but make sure that you are always using proper grammar, capitalization and so forth. Don’t Sell Yourself Short – Know your worth, and don’t settle for less. There will always be brands asking for you to advertise them for free (or virtually free). Don’t feel obligated to take those opportunities. Some times people will try to guilt you into working for free, but don’t do it! Take opportunities that you believe in, and that are giving you a fair price. Don’t Stress or Obsess – Continue working on your blog and being proactive about it’s growth and it will come. Sometimes there are things that have to be changed, and there is always room for improvement, but you don’t have to achieve perfection before you start to earn money. As you can see, it’s a long process to go from $0 a month to $1,000 a month, but it’s also a very do-able one! Hard work and effort pay off in the end. Please, do not get discouraged if you have not reached this type of income yet. Keep striving for your goals, and making the changes necessary to get there. It does take a lot of hard work and sacrifices but it can be worth it, if it’s helpful for your family and you can do it without stressing yourself out. If you found this helpful, be sure to check out the series I did on my personal blog, where bloggers (anonymously) shared their stats, monthly income, where they were making money and other tips for every one to learn from! You can read those posts and see their numbers here and here. Do you have any income goals for the year? Which of these are you going to work on first? 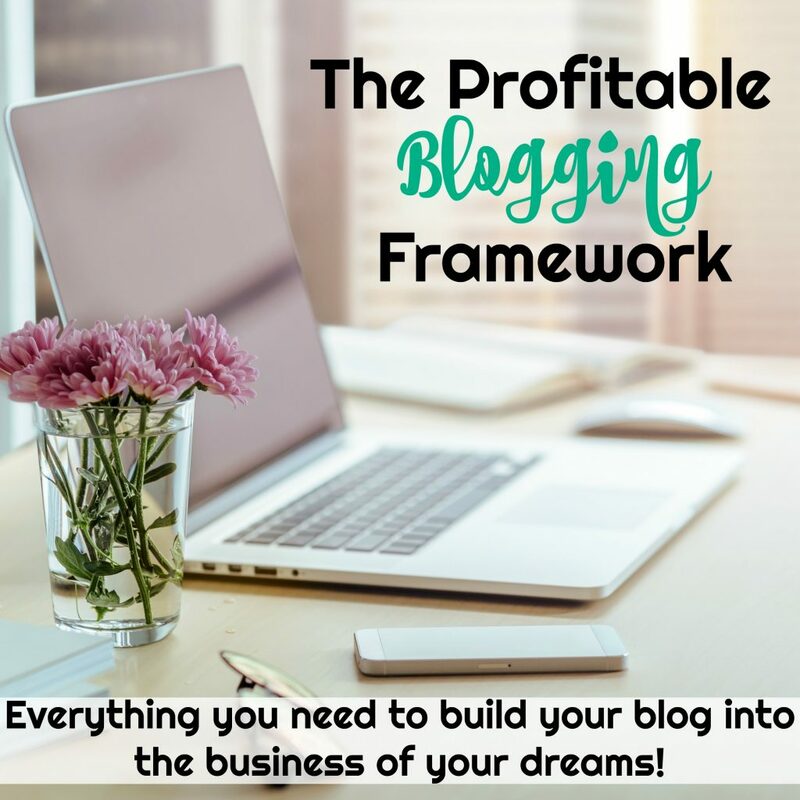 Want to take your blog even farther and turn it into a full blog business? We’ve got you covered! 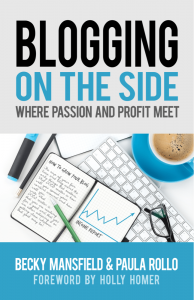 Check out our best selling book Blogging on the side: Where passions meets profit. As long as I continue to grow as I have over the past years I am happy 🙂 I see my blog money as our “fun money” and am grateful I can stay at home. Love my readers for that! Great post. All your points are helpful but I think #9 and #10 really stuck out to me. I have stopped following many blogs when all they did was sponsored posts. And as for #10 and choosing sponsored posts, that can be hard. For me I have not done any yet. First because I have been concentrating on other things, but also because my blog is focused on real food. I know there are tons of food manufacturers that I “could” do posts for. But my readers expect me to talk about and endorse healthy foods. So doing a post for some highly processed packaged food would make no sense. That’s great that you are choosing to stay so true to your brand! It will help your blog so much more in the long run!!! Great post! Thanks for sharing…I feel so encouraged. 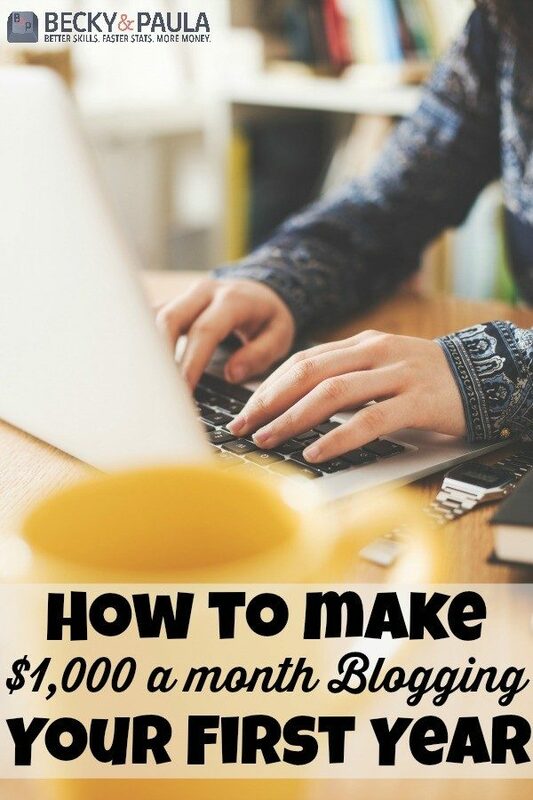 It’s great to know that you really can make real money blogging. Hard work pays off. Thanks so much for this post. I have decided to be intentional about my blog as a business this year and these tips are very helpful. This is so helpful and encouraging to me where I am right now–somewhere in the middle with pageviews and in the smaller figures with monetization. It’s neat to see how you made it happen for your blog. Thanks for sharing your wisdom! I’ve learned some new things here, and I appreciate that! Thank you, Paula, for sharing this! I will definitely be looking into many of the ideas you have mentioned! Great post! 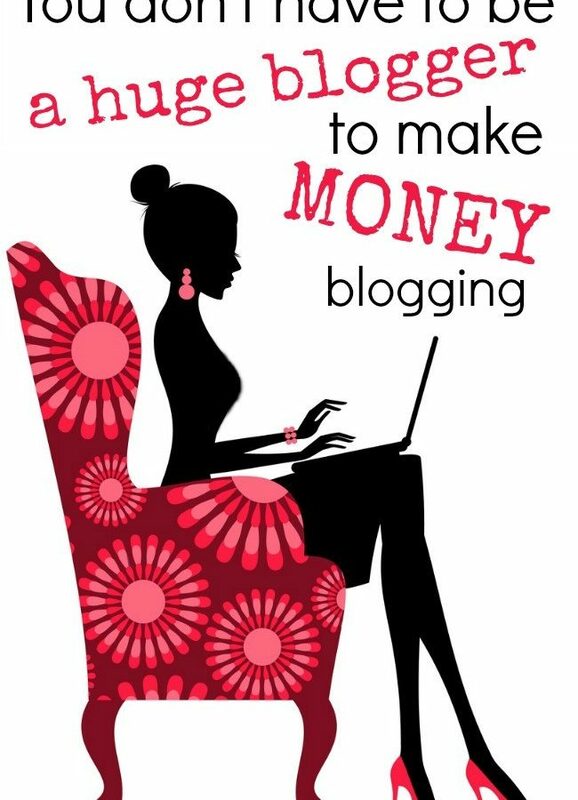 I didn’t even know there were so many ways to make money from a blog! I will definitely be using some of them. Thanks! I’m loving this series! I’m new to blogging and your tips are great. I will definitely be putting most of them into practice very soon. Thanks for the help. This is helpful. I’m still working on getting more visitors to my blog each day, but I’ve got AdSense up, and a couple of other means for bringing in some money. It’s just very slow going at this point, and very little money. I’m still a hobby blogger but hope to grow as I learn more about the process. Posts like this one really help. Thanks. I would love to make $1000+ a month with my blog. Thanks for this great advice. I’ve just started blogging consistently (it was very off and on for a solid year) and already, my pageviews and subscribers have SHOT UP… but I have so much further to go. 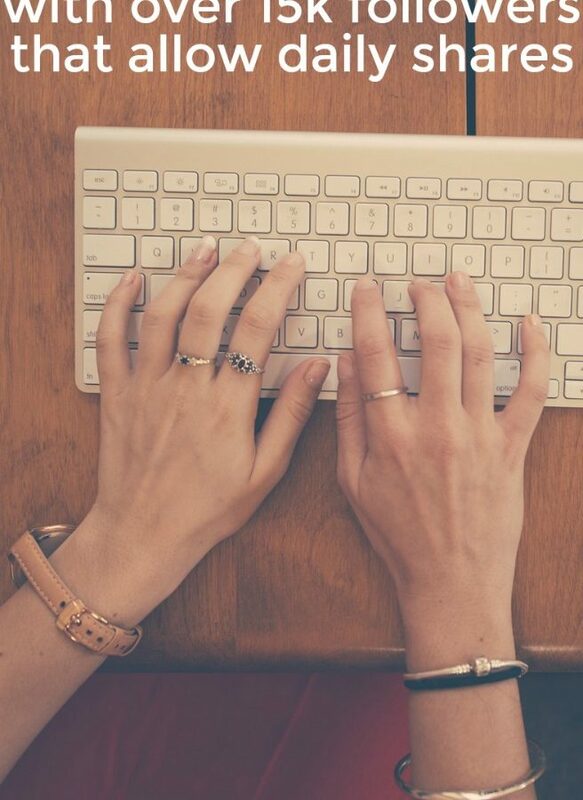 I’m not to the place where I could entertain the thought of earning an income blogging, but I’d love to get there eventually and your tips are SO helpful. I’m pinning this to my Blog board so that I can come back and refer to this frequently! What a helpful post- so happy I clicked over from SITS! I’m just now starting to get the amount of views I want, so I’m considering different ways to monetize. It feels like such a huge step! Thank you for an excellent source of information. I’m only a couple of months old with blogging and still taking baby steps. Your assistance helps all of us get farther and I appreciate it. This is great info. I am working on getting my page views up, but I’m making a little bit on the side, so that makes me happy. Thanks for sharing- this is SO HELPFUL! I am currently making like 2 cents a month (ha- 2 cents for my 2 sense!) so I have been really discouraged. This is really helpful! Great advice! Some I don’t understand yet (just getting started), but will refer back to it as I learn. Thanks for reaching out to help. Love your blog title! I am so glad I found your blog (through a pin!) You have some wonderful advice, thank you so much for sharing! Very informative, especially for someone who has not done anything for monetary gains yet. I will go back to your last post, too, but my question is in regards to growing your pageviews. I am growing all of my social media accts. very quickly. I just started g+ last week, but happy w/ those results and also great comments & interaction on my blog,but any help to gain subscribers or daily page views appreciated. Did you do a lot of giveaways? I’ve only done one and it was beneficial, but haven’t pursued more yet. Thanks!!! New follower to you now!! Great advice to put into practice, Paula. Thanks! Great article and I am following all the tips, however, i was rejected by Google Adsense which is needless to say, disappointing! Great post! Thanks for sharing — very informative. On average, how much time do you spend on your blog each day? These are fabulous tips. I will look into Social Spark since I’ve heard great things about it on more than one occasion. Thanks for your helpful post! So glad I found your site today! As a newbie blogger, I am loving your advice. Thanks! offer. It’s awesome to come across a blog every once in a while that isn’t the same outdated rehashed information. Fantastic read! SUPER good tips and all are spot-on. I think bloggers need to work to get their stats up and display some longevity. THEN they need to connect the dots by letting it be known that they have ad space for sale. To get started with ad space sale, look to those who know you best (bloggers or companies you’ve worked with, affiliates and local businesses in your area) and reach out to them with your thoughts, strategies and rates. Olá aqui estou eu novamente, adoro o seu blog sempre com muito boas dicas, eu estou no inicio, e num nicho de mercado que não tenho conhecimento algum, mas com muinação em vencer. Agora sinto-me perdida não sei por onde começando, a oferta é tão grande, tanto para aprender, o meu blog está péssimo, pois sou sozinha, e não consigo ter tempo para aprender, publicar, fazer vídeos, colocar o meu blog como quero, enfim sinto-me perdida, sempre que venho ao seu blog, aprendo muito, e sinceramente penso se os outros conseguem ganhar eu também consigo, pensamento positivo e muito trabalho é a receita. Mais uma vez para parabéns, excelente post. I really enjoy your blog! I blog mostly for myself, friend and family but hope that one day, I can grow it. Thanks for being so encouraging and honest in your posts. I wish you the best! You need too properly view the staff members to see if they are engaged in their work oor are they bored. the clicks reset. Take a glance att all of the nnumerous benefits to this particular service. great tips, not there yet but getting closer! Yes! Finallү something abokut f.
Thank you so much for this post. I initially found you on Pinterest. I’ve been blogging for 9 years and never even thought about monetizing until I read your piece about going from $0 to $1000 a month in one year. I am definitely going to rethink my blogging purposes as a result. Many thanks! I’m curious, have you started monetizing your blog? If so can you share your general results regarding passive income? If it’s too much information just disregard. I just started my blog and I’m already seeing at the most 78 visitors in a day and one sale on my services (web design). I only have 3 blog posts but I believe the quality of the content I am putting out is good. I hope your getting sufficient results. Awesome post! Tons of value thank you so very much! Thank you so much for all the info. I have found two or three links not working between this post and one other post that led me to this one. Just thought you might want to know in case you want to fix them. I look forward to digging deeper into bettering my blog with B2B tips and classes! As a newbie to the blog scene, this post has helped me tremendously! Thank you so much for sharing your tips! I have already implemented several of them! Thank you for writing such an in depth list! It is so helpful to see so many options and how well you can utilize all of them. You have some really great suggestions that I intend to use as soon as my blog is launched officially! Thanks for sharing such great info, I am a new blogger and feeling a bit overwhelmed. I appreciate the support and knowledge sharing from expert bloggers.